INFZN Grape Mint vape juice is the greatest thing to happen to grapes since the invention of jam. 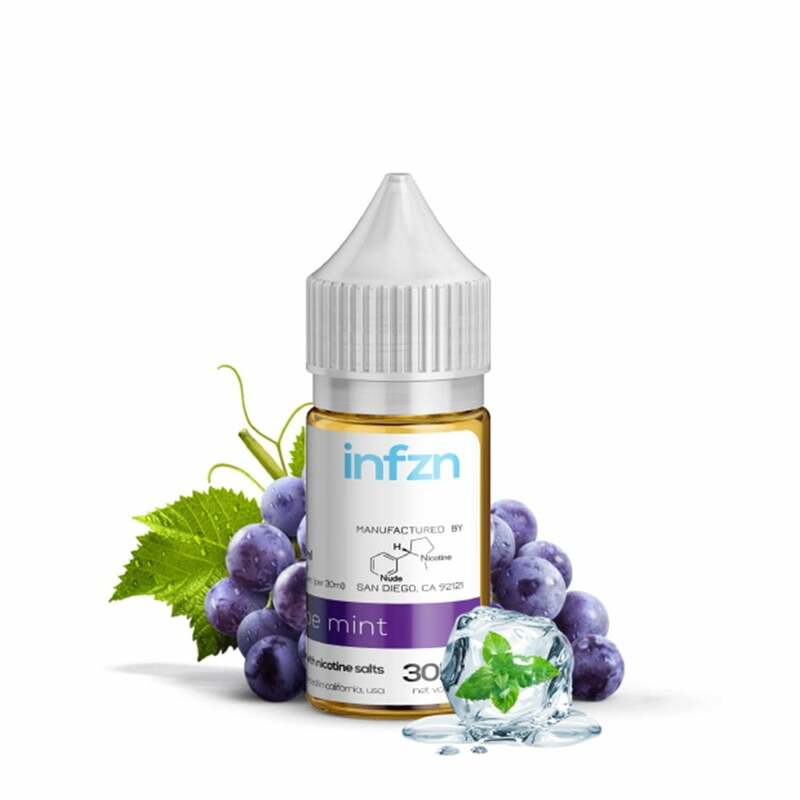 Classic grape flavor is joined by a minty fresh menthol kick, INFZN nic salts making for a smooth, satisfying experience that is perfect for any refillable pod mod. this was a fantastic juice. never failed to disappoint. its a rush of nice icy grape juice flavor.